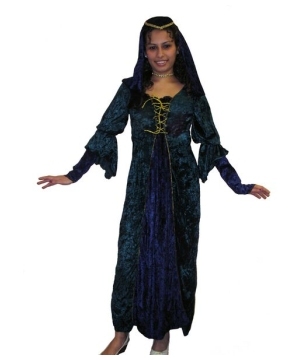 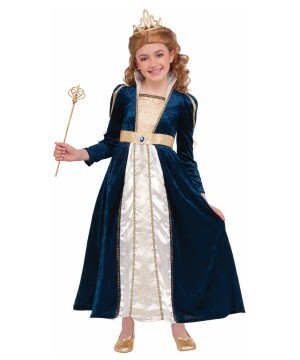 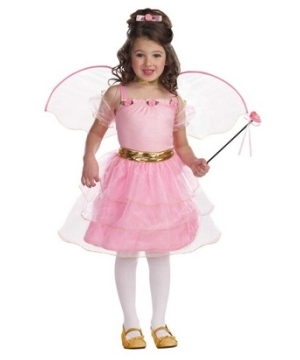 Find Girls Renaissance Costumes for your next school play, Renaissance Fair, birthday party or Halloween. 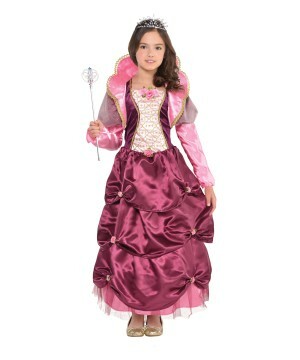 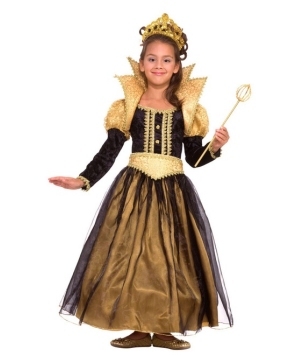 Select from Girls Juliet Costumes to Girls Renaissance Princesses and Queens, find creative Girl Costumes for any occasion, enjoy economic prices, secure shopping and fast shipping. 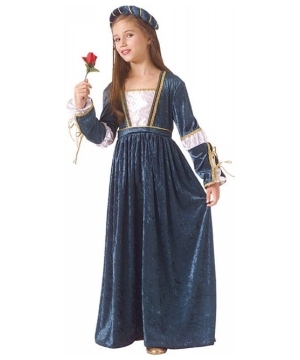 Whether you need a Renaissance costume for that Romeo and Juliet play at school or for the next local Renaissance Festival or perhaps to go back in time this Halloween, you will find a wide range of Girls Renaissance Costumes in all sizes. 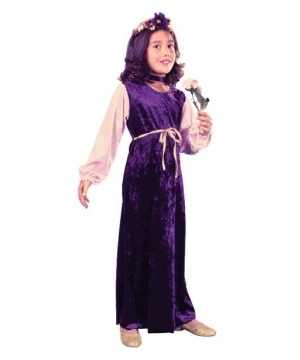 Keep in mind when picking your girls outfit that colors of this period are strong, and often dark shades are preferred over light ones. 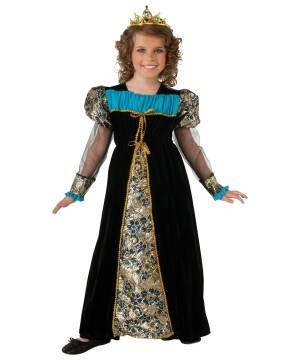 Black velvet was a staple fabric of the period, especially in headdresses. 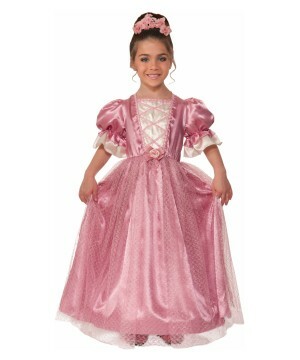 White linen was another accent against colors of gold and burgundy for collars and wrist ruffles. 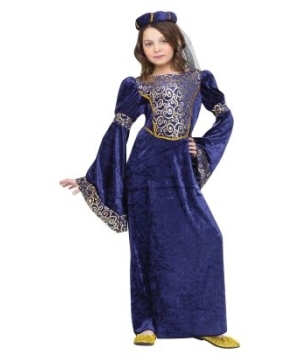 The authentic Renaissance dresses had accents of the times, Celtic and Irish motifs are present in some designs. 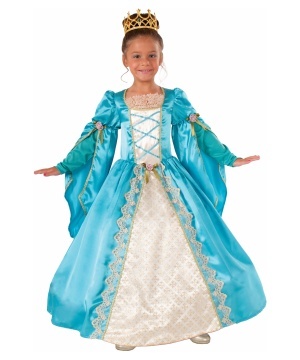 In those times, the gown you wore determined your social status, such as a Peasant dress, Wench, Noble or Princess Styles will set your value, keep this in mind when choosing Girl Costumes. 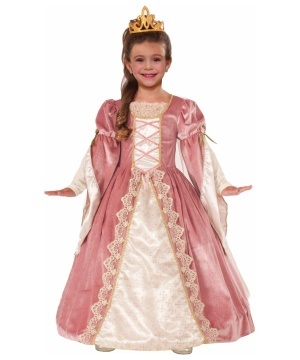 If she wants to be a Renaissance Princess, there are several options to look at, check out the Pink Velvet Princess or the Ruby Queen, featuring an elegant red gown with attached wired petticoat and golden details. 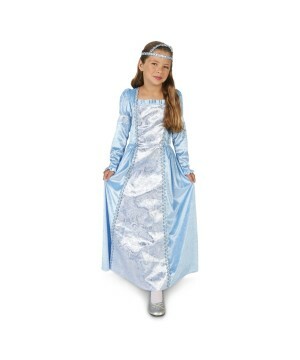 If she needs accessories to complete her noble look, a matching crown and veil will do the trick. 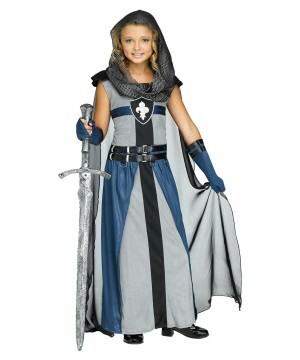 In case she chooses to be a Peasant or a Wench, her Costume options are innumerable too. 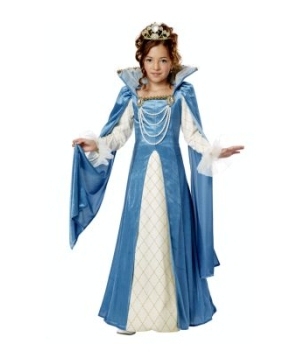 For Renaissance weddings dresses, there are several outfits that will make her smile, just to name a few, the Royal Bride Costume for girls and the Enchanted Girl Princess Costume will surely meet her expectations. 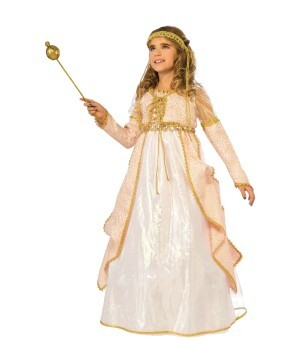 With the most adorable gown, your little girl will be ready to claim her kingdom and her beauty will conquest new imaginary territories!